Here is a mani I did 3 weeks back. That butterscotch shade is gorgeous. 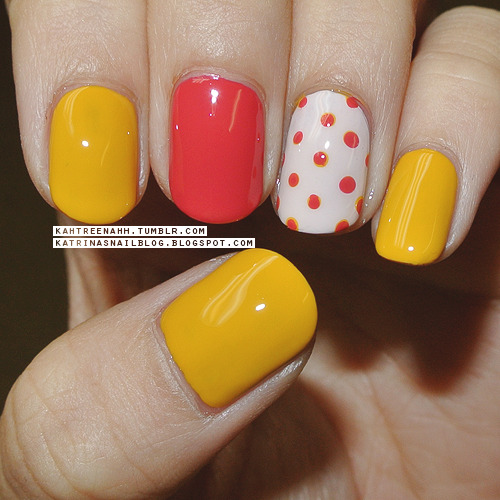 Very bright and summery! Nice combo! The butterscotch shade! I'm loving it!